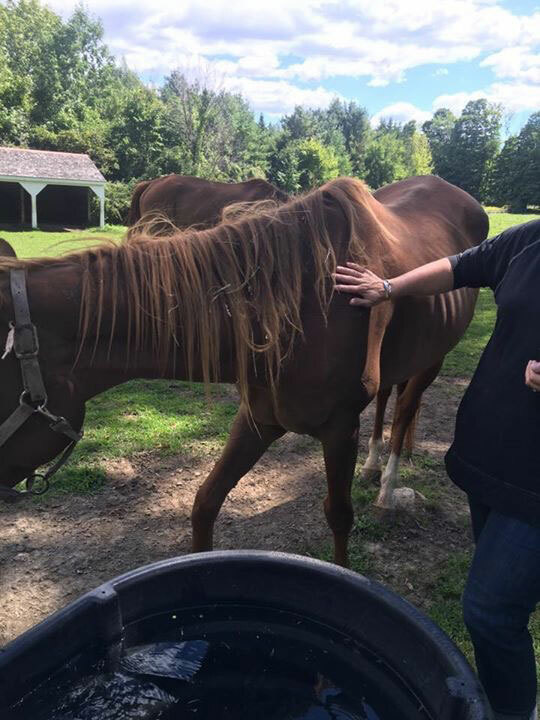 Jaks is a 10 year old appendix gelding who was owned by a kill buyer and about to ship to slaughter and we pulled him. He has been with us since August 2016. He was very underweight when he came to us but is looking great now. He’s very sweet and has a great personality, and we are so happy that he was adopted in December of 2016. Jaks when he first arrived.